This wonderful song was composed by Ian Robb and released on his 1985 Folk Legacy LP of Rose and Crown, now available on CD. Cliff has been singing this for years and years – the words below are how Cliff sings it and are marginally different from Ian’s original – and is a staple of the local sing-along circles in lower New England. 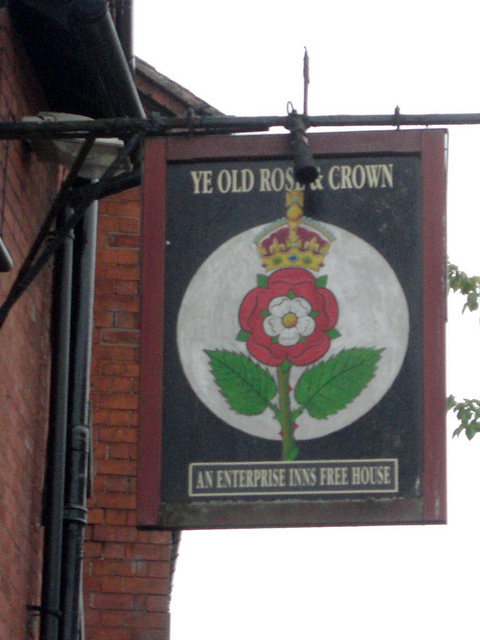 What has become of the old Rose and Crown? The Ship, the King’s Arms, and the World Upside Down. Good friends, gather round and I’ll tell you a tale. It’s a story well known to all lovers of ale. Has been decked out by brewers in plastic and chrome. But the worst of it all’s what they’ve done to the beer. For their shandies and lagers will make you feel queer. Than to sit in a pub with a pint of good beer.